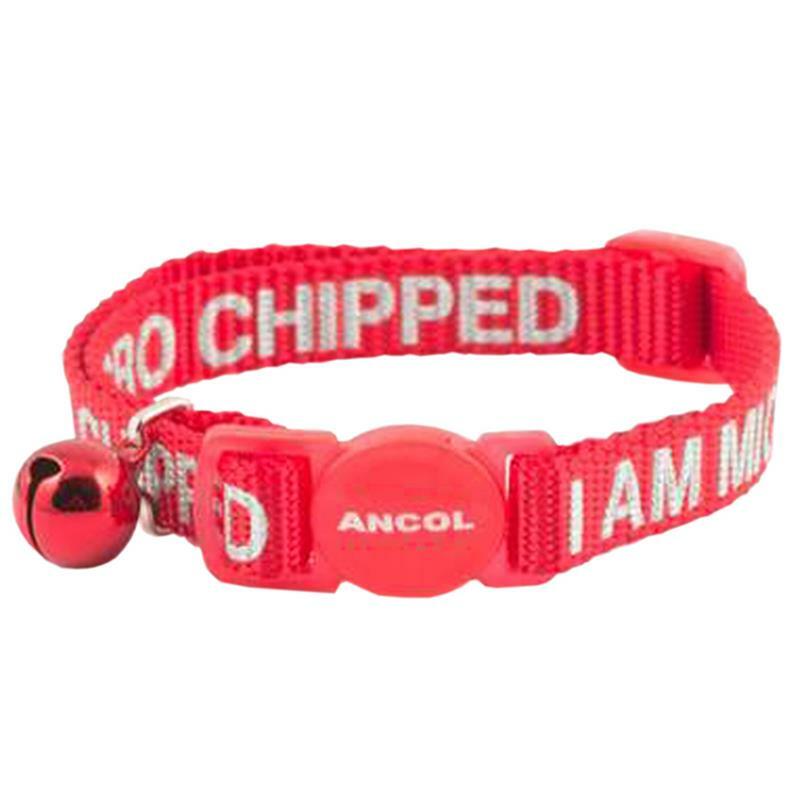 Ancol I Am Microchipped Cat Collar - Red. If your cat is lost then this cat collar from Ancol will alert the stranger immediately that your cat is microchipped. Incorporating a break away safety buckle that is designed for quick release if the cat gets caught, fully adjustable with a matching coloured bell, and featuring a clear "I am micro chipped" message.